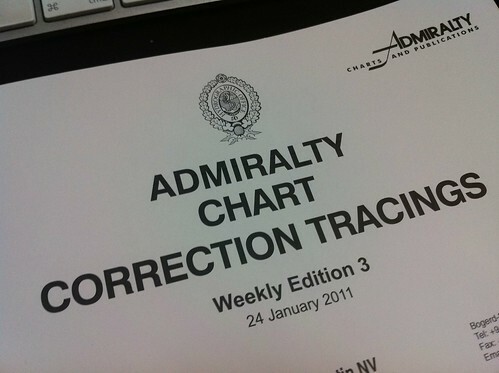 It’s a book of Admiralty Chart Correction Tracings. It contains a compilation of changes to marine navigation maps, published by the UK Hydrographic Office. Ships will subscribe to the service through a third party, and receive the latest copy of the book when they dock at port. 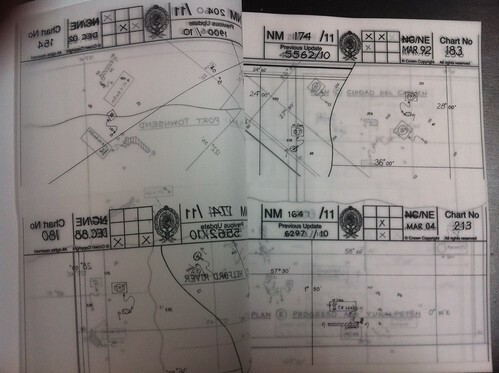 They tear out each page, and apply the relevant changes to their paper maps with a pencil and transfer paper. 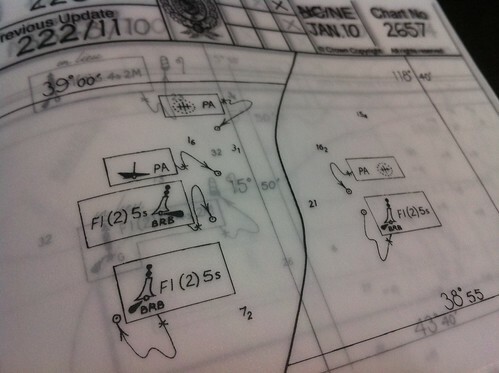 They’re paper map diffs, if you like. I love it. 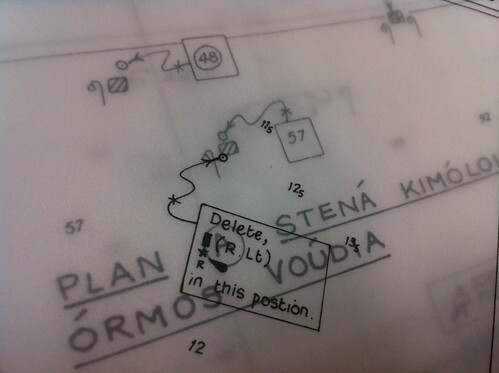 For a start, you can print on tracing paper – who knew? And it made me wonder if all of the maps that the UK Hydrographic Office maintain are entirely hand-drawn, or if only the changes are done by hand. And if they use paper as the primary workflow, how they store the changes so they can extract the appropriate patches for printing, at the same time as maintaining a master copy. Maybe someone out there knows. The kind of processes and expertise that build up inside an organisation, over a long period of time, for managing a workflow like this, seem complex and fascinating. And ignoring all of that, it’s just a gorgeous book to pore over.